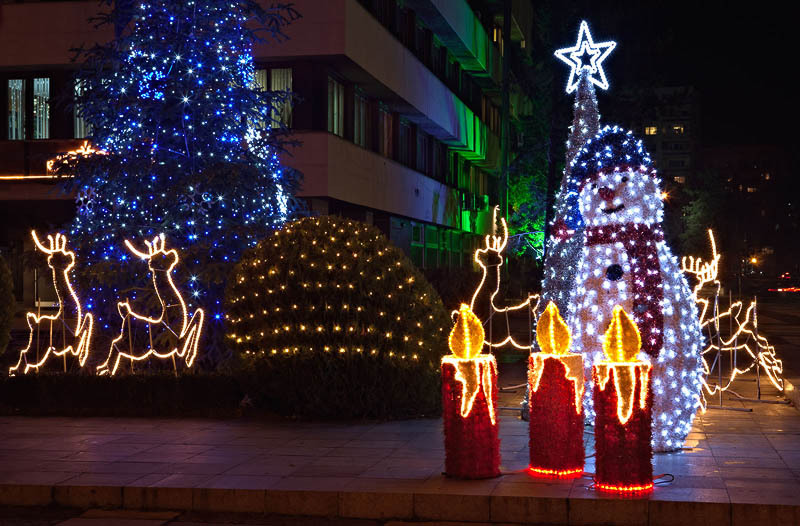 Night scenery of festal Christmas ornaments with light bulbs - Christmas tree, snowman, candles, stars, deers in front of municipality building. Holiday in city. Christmas holiday greeting, salutation.